Rambunctious country music pioneer uncle Dave Macon is most often associated with stage lights, but a new MTSU-produced play shows that the bowler-wearing banjoist much preferred "Walking in Sunlight." Taking its name from one of the Middle Tennessee native's favorite gospel songs, "Walking in Sunlight: The Legacy of Uncle Dave Macon" premieres Tuesday, Sept. 27, in MTSU's Tucker Theatre and runs through Frlday, Sept. 30. Curtain times are 7 p.m., and tickets are $8.50 general admission and $4 for seniors over age 60 and K-12 students and available at https://www.showclix.com/event/Walkinginsunlight. MTSU students with valid IDs will be admitted free. The family-friendly MTSU Arts play follows eight young characters as they discover a book about the "Dixie Dew Drop," as Macon styled himself during his nearly three-decade Grand Ole Opry heyday. Guided by a character called "The Muse," they're magically able to step inside to observe his life's joys and sorrows and return with a new appreciation for more than his music. "We wanted this show to be about resilience and the struggles that he (Macon) faced, within and without, and to create a show that young people could learn from," explained MTSU theatre professor Jette Halladay, the director of "Walking in Sunlight." Macon's jovial, raucous stage persona helped to disguise a life peppered with personal tragedy, including his father's murder outside the family's Nashville hotel, the loss of his mule-drawn freight company after gas-powered competitors came to town, and his long struggle with emotional issues. He chose to joke and sing with customers, neighbors and audiences instead of succumbing to sadness, becoming a polished entertainer who proudly carried his instrument case with "Uncle Dave Macon, the World's Greatest Banjo Player" on the side. In fact, Macon was an established performer and recording artist before he joined the WSM Barn Dance -- the Opry's original name -- in 1926. 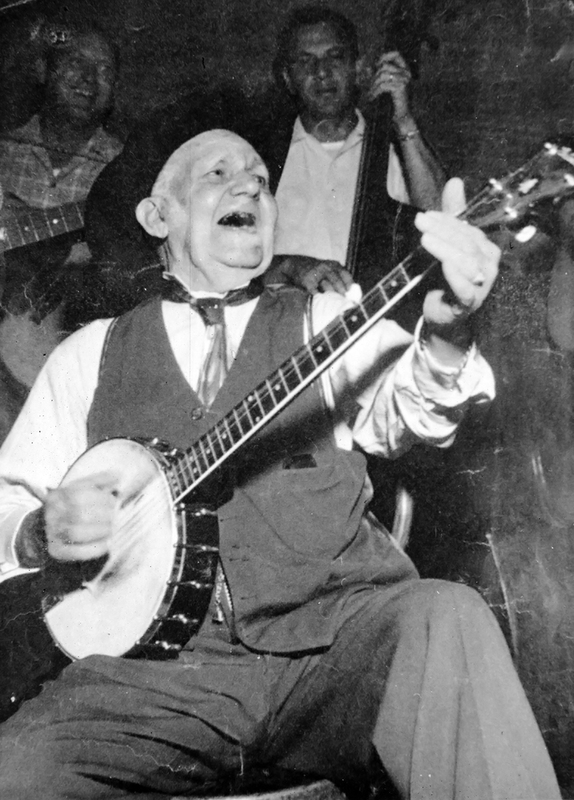 Born in 1870, he first performed professionally in 1921 for a church benefit in Morrison, Tennessee. Within three years, vaudeville companies were clamoring for contracts, and he was touring with fiddle player Sid Harkreader and cutting records in New York City. By December 1925, he'd made his first appearance on the Opry. He gradually expanded the duo into a quartet, the Fruit Jar Drinkers, and became the Opry's first superstar, bringing old-time music, gospel songs, comedy and preaching to all his performances until his death in 1952. Students DeVante Williams, Ren Creasy and Robbie Ramirez and MTSU English professor and playwright Claudia Barnett penned the new MTSU play; Creasy and Ramirez also are cast members. 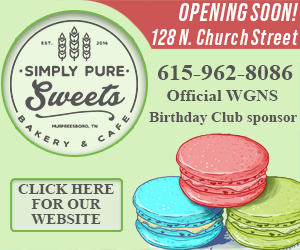 Gloria Shacklett Christy, longtime director of Murfreesboro's Uncle Dave Macon Days annual music festival, first approached Halladay with the idea in the summer of 2015. "We began researching and gathering information and started writing the play this past January, and we're still refining it up to the last minute," Halladay said. "Gloria (Christy) and Mike (Doubler, Macon's great-grandson) have been a great help to us. I think they were probably thinking about a musical, but our research showed us that his life was so much more." "His life is a legacy of hope, the pursuit of joy for himself and others, and an indomitable spirit," Christy said. "Uncle Dave was resilient, overcoming life's unexpected and often painful hurdles, to live his dream and bring dreams to others." The cast of "Walking in Sunlight: The Legacy of Uncle Dave Macon" includes actor/musicians Austin Derryberry, James Alex May, Justin Dixon, Tera Alexander, Delaney Keith, Dominic Gillette, Ontario McGregor and Nicholas Emerton. A complete list of cast and crew is available at http://w1.mtsu.edu/theatre/Program.php. Area schools also will be able to see the play this fall and next spring by making arrangements with the MTSU Department of Theatre and Dance. 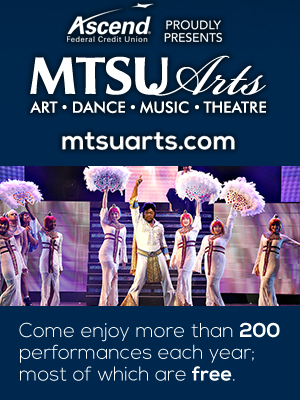 An information packet for educators is available now at http://www.mtsu.edu/theatre/docs/UDMedpack.pdf. Tickets also will be available at the Tucker Theatre box office one hour before curtain times. For more information, visit http://mtsuarts.com. Arts Center of Cannon County presents "Hello Dolly"